Dr Allen Yuen is a Medical Acupuncturist and specialist Emergency Physician. He retired recently as Director of Emergency at Epworth Hospital, after a career as Director of Emergency at Prince Henry’s, Monash Medical Centre, The Valley and Williamstown Hospital. He was also Chair of Accreditation, State Censor, Senior Examiner and Peer Reviewer for The Australasian College for Emergency Medicine. He is a current examiner for The Australian Medical Council. 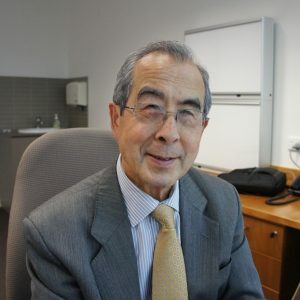 He graduated in Medical Acupuncture from Monash University, where the best aspects of traditional Chinese Medicine and Orthodox Western Medicine are recognised. Sue has worked in the field of Movement Disorders for five years, having trained under the guidance of A/Prof David Williams. Sue is expert in the administration and management of patients with advanced treatments for Parkinson’s disease, including apomorphine infusion and programming of deep brain stimulation devices.